Lice Treatment Center® professional lice removal services defeat even "Super Lice." 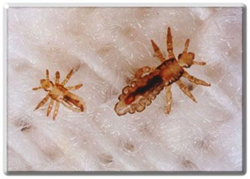 Lice Treatment Center® is considered to be the "gold standard" in the lice treatment industry. Lice Treatment Center® Co-Founders Dr. Elin Cohen and Elizabeth Solovay announced expansion of its on-site professional lice treatment services throughout Manhattan and Westchester County, NY. New technicians who have completed the LTC® Lice Academy™ certification program designed by Dr. Cohen, LTC® medical director, are ready to provide Manhattan families, camps and schools with our LTC® pediatrician-approved, professional lice removal services, the acknowledged gold standard in the industry. Dr. Cohen also formulated LTC®’s full-line of Jolis Cheveux™ natural, non-toxic lice treatment and prevention products that are now sold throughout the U.S. on-line and in select salons and pharmacies. These are the same physician-recommended, safe products used by LTC® technicians during on-site treatments. Lice Treatment Center® is physician-owned and, for the past 10 years, has helped more than 50,000 families, schools and camps solve their lice problems. And in preparation for a busy summer camp season, LTC® will expand its camp Lice Insurance™ programs that provide preventive lice screenings and treatment services to camps in New England, New York, New Jersey, and Mid-Atlantic states to ensure campers and staff have a lice-free summer. For immediate assistance throughout Manhattan and Westchester, County, NY, call 1-888-LICE AWAY (888-3542-3292).